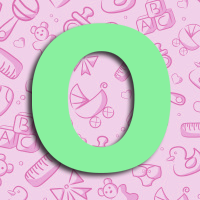 For the letter ‘O’ I have chosen to talk about Outings. For the first few weeks, you probably won’t go out much with baby as you will both be tired and have plenty of visitors. But sooner or later, perhaps after your partner goes back to work, you will find yourself staring at four walls for much of the day and unless you get out and about you will go stir crazy! Below are some ideas for little outings and what you need to take with you. Pack a picnic for yourself and take your baby for a ‘walk’ around the local park. Take your baby to the pool for a splash about. Meet up with a friend in town for coffee and cake. If you don’t know any other mums you could try signing up to Mummy Social. Join a local mum and baby group for some fun meetings (try the NCT or Netmums). Visit a friend or relative. Go shopping at your local mall or supermarket. Sign up for a mum and baby exercise class such as baby yoga. Visit a zoo, aquarium or farm park. Wear your baby in a carrier and go berry picking. Go to a farmer’s market or summer fair. Take your baby to the library for a storytime session. Go to some local woodland for a nature walk. Nappies/diapers (think one for every couple of hours, plus spares). Small pot of nappy cream. A dummy/pacifier if your baby uses one. A bottle of breastmilk/formula and perhaps a thermal bag/holder to keep it in. Muslin squares or burp cloths. A blanket (you can use it to wrap your little one, let them lie on it or use it as a breastfeeding cover). A spare change of clothes (vest, babygro, bibs, socks and cardigan). Your red book (just in case). Any medicines your baby needs. A hat and mittens if it’s cold, a sun hat if it’s warm. One or two favourite toys. My little one loves Sophie the Giraffe. This article has some good information about when you can start to take your baby out in public and ideas for keeping your baby content while out and about. If you have children, what are some of the places you liked to take them to as babies? What couldn’t you leave the house without?